TRAI’s New Tariff Order (NTO) has become a major topic of discussion. With the final date of March 31 drawing close, more and more facets of this new order are pondered upon. The FICCI-EY 2019 report titled ‘A billion screens of opportunity’ suggests a few scenarios pertaining to NTO which might become a reality in the coming days. As per one scenario, OTT platforms are sure to benefit due to increased parity between television and OTT consumption – both in terms of content choice and costs. As per the NTO, the power lies in the hands of the customers who can pick and choose channels of their choice. Under the order, DTH providers can only charge subscribers a maximum of INR 130, excluding the applicable GST, for a set of 100 channels, while letting the customers to further opt and pay for the channels of their liking, separately. We spoke to OTT players to understand if the NTO can have an impact on the OTT platform. Many of the OTT players are also key broadcasters and they believe there will never be an either/or situation. Manish Aggarwal, Business Head, ZEE5 India, admitted that they have observed higher than usual numbers of streaming but asserted that TV will never lose its dominance. “We are witnessing higher than usual numbers for streaming daily TV soaps as viewers are aligning their cable TV packs and channels may have blacked out. Having said that, more than cost, OTT drives a significant traffic due to the convenience it offers to the users. 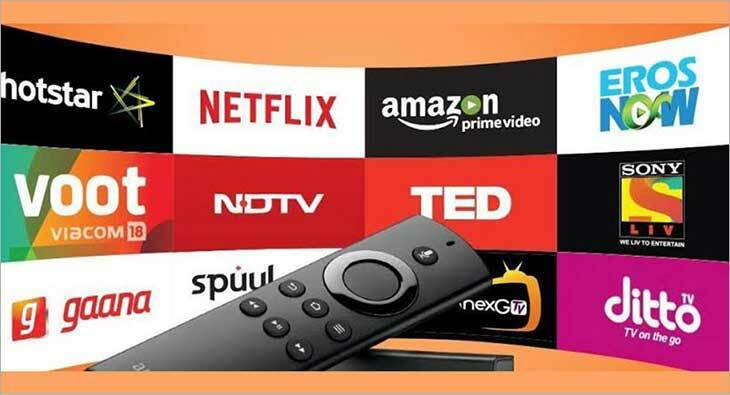 Television has its own audiences and in spite of rapid growth in digital consumption, TV remains to have its dominance in India due to various factors and will continue to coexist with OTT in the long run,” said Manish Aggarwal. Karan Bedi, CEO, MX Player, however, believes that the new pricing regime for broadcast channels can drive OTT consumption. “It’s the content and the availability of better payment pipes that are the main drivers for entertainment today. The flexibility and varied subscription models that come with OTT platforms appeal to audiences who no longer want to be restricted to a single TV screen. The new pricing regime for broadcast channels should further drive OTT consumption and I believe there will be experimentation on both platforms, across verticals like never seen before,” Bedi explains. In an earlier interaction with exchange4media, Nina Elavia Jaipuria, Head - Hindi & Kids TV Network, Viacom18 had informed that there will never be an either/or situation. “OTT is a trend that will compliment broadcast. I totally believe that two can co-exist. From Viacom’s perspective, we feel whichever screen consumers prefers to watch, Viacom will be present. Viewers can watch the same content on Voot that they missed on broadcast. To me, TV is the future of TV. Today, penetration of TV is only 66%. We have gone to 196 million households now. But there are 266mn households we can expand to. To me both will grow and both will complement each other. It will never be an either-or situation,” Jaipuria insists.